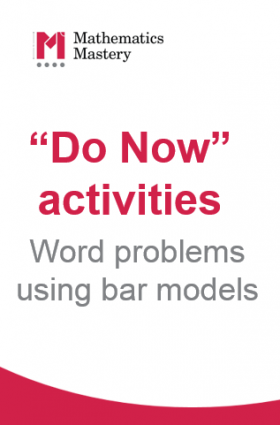 Mathematics Mastery lessons have a flexible structure but we always recommend kick-starting the lesson with a “Do Now” task. These short starter activities enable all students to engage with mathematical content as soon as they enter the class. It’s also a good opportunity to develop problem-solving skills and mathematical fluency.